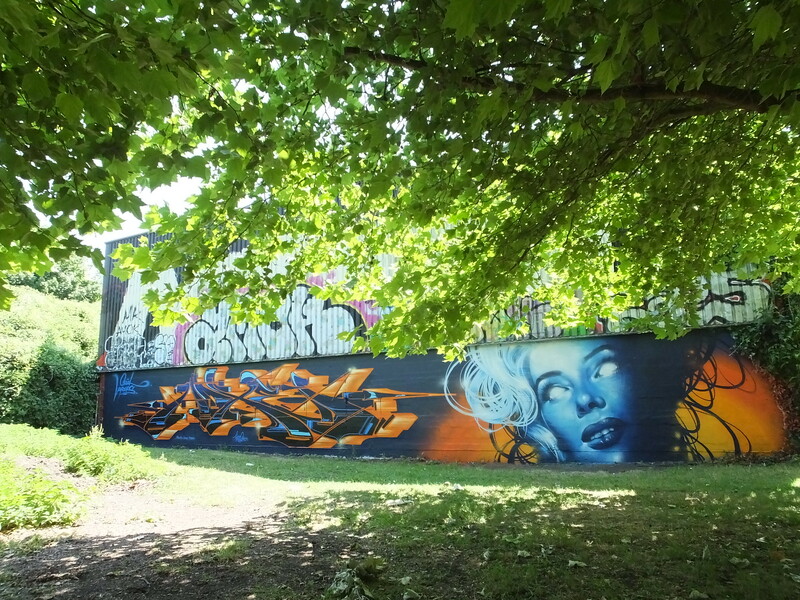 The first and longest legal graffiti wall in Cardiff is located at Sevenoaks Park in Grangetown and always attracts a high calibre of work. 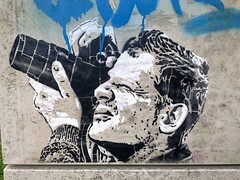 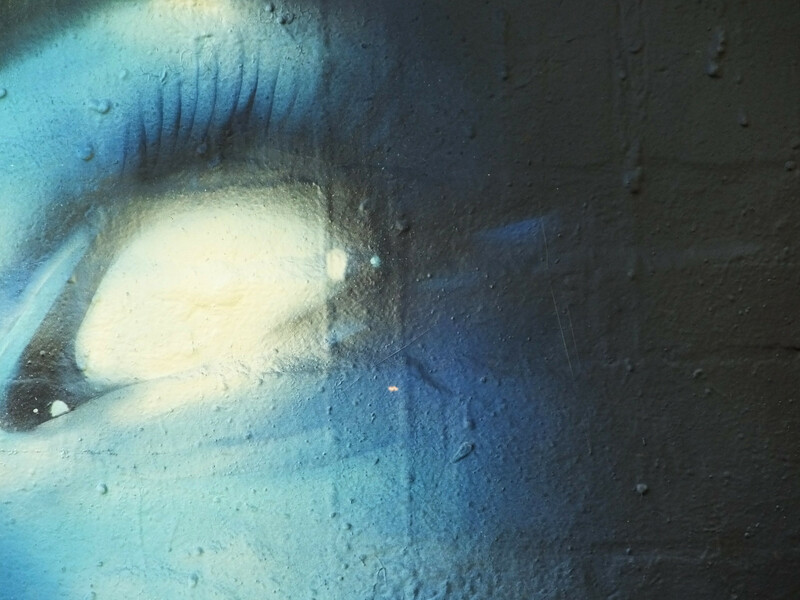 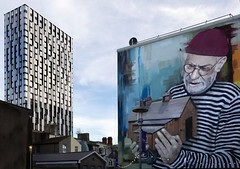 For years, going on a decade now, artists have painted the 130m long wall through each and every year – regardless of the weather! 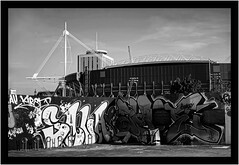 At one end of the wall it seems to be a dumping ground for a local construction site. 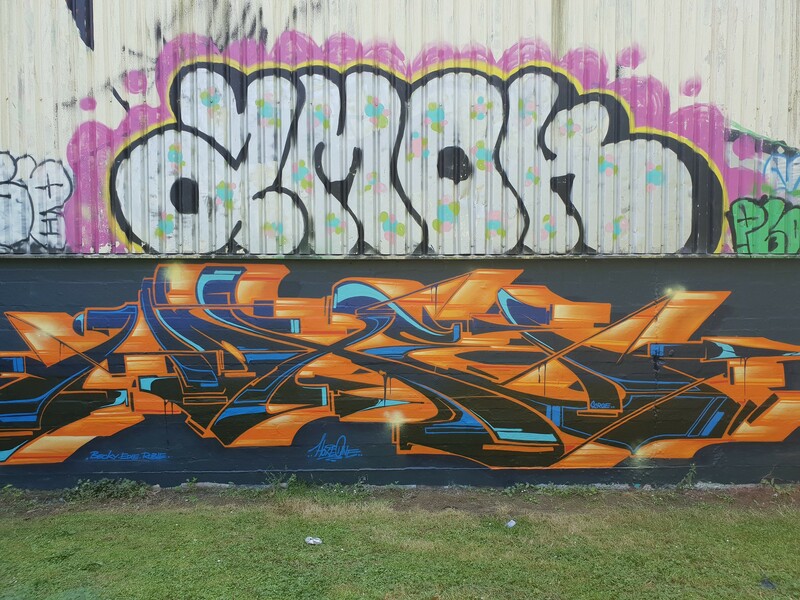 Whereas at the other end there is another small wall standing all alone in the corner which now features some high quality work from two local Cardiff writers. 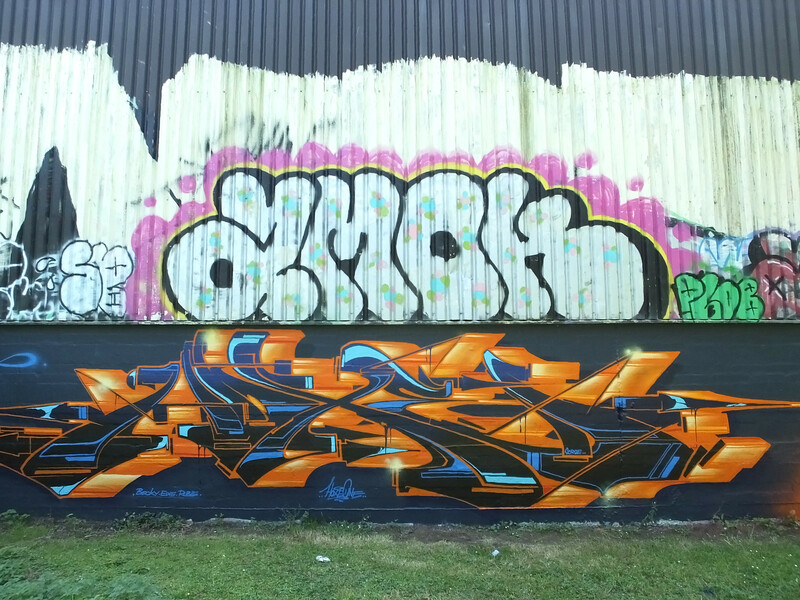 Step forward Hoxe and Rmer. 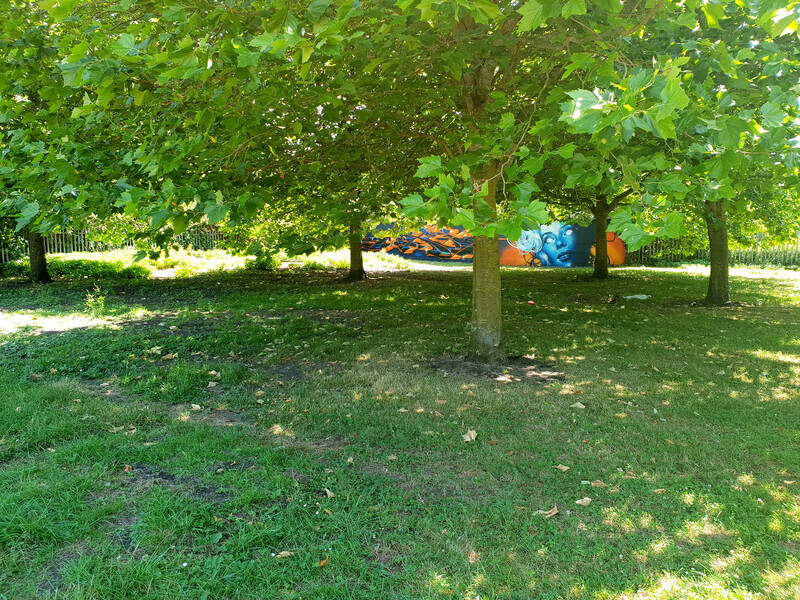 From a distance you can see a face peering through the lush green trees which entices you in further to fully appreciate the work. 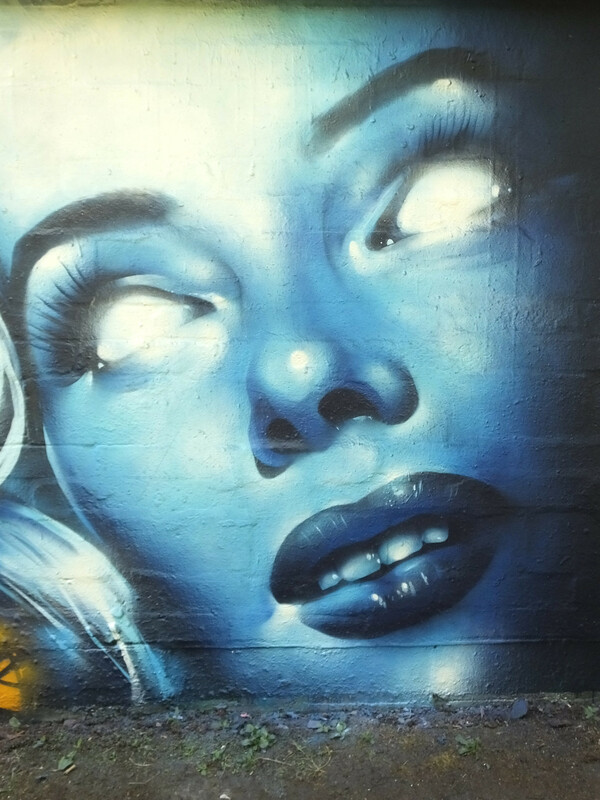 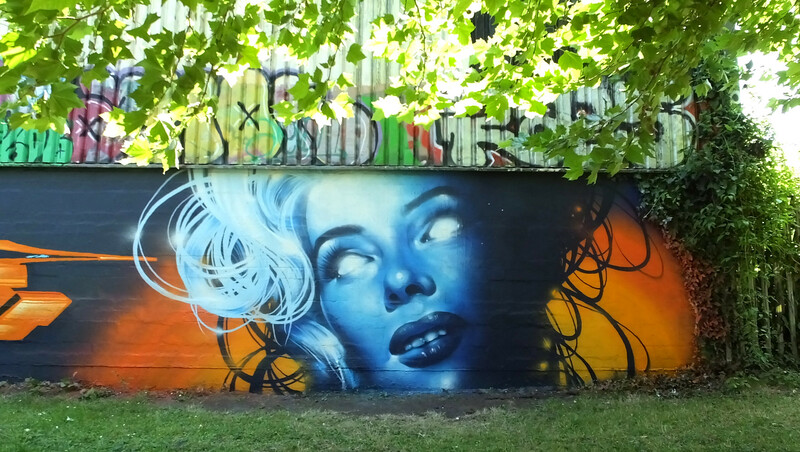 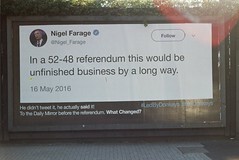 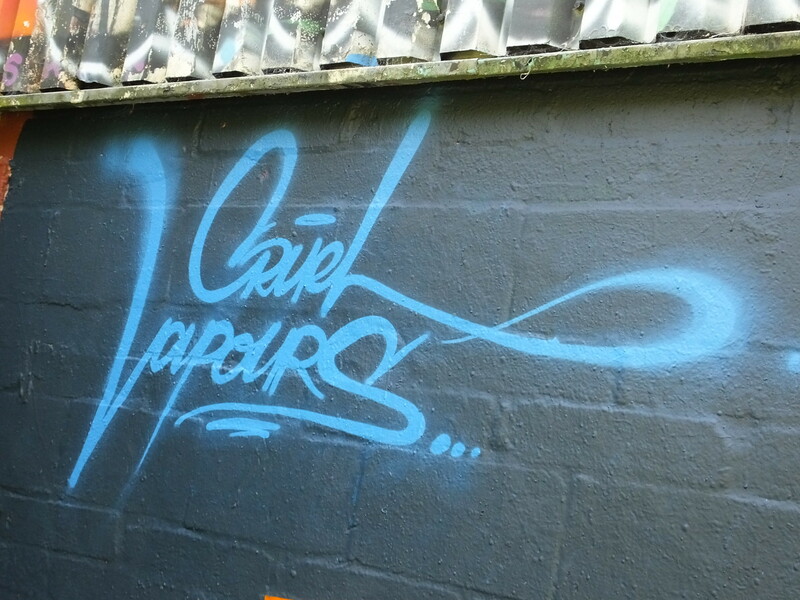 During one of the hottest periods that the country has seen recently the Cruel Vapours crew painted their latest creation at the start of a glorious July. 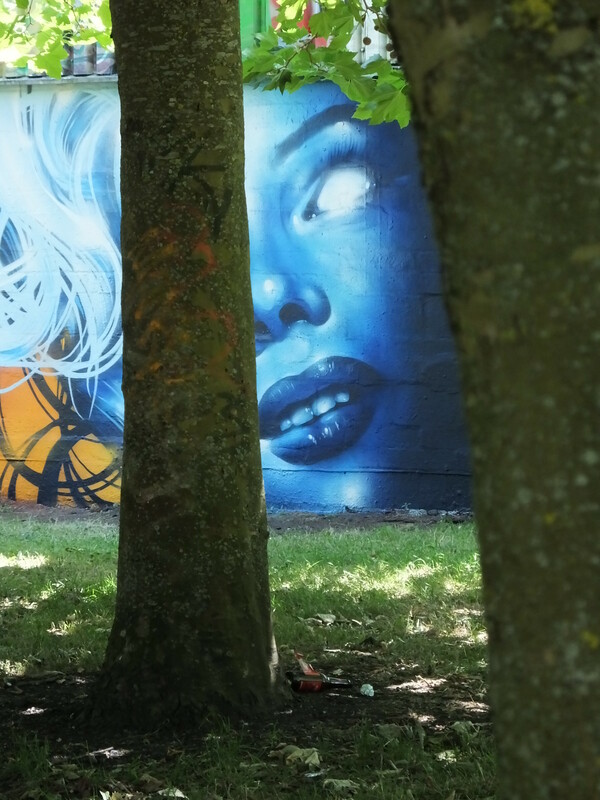 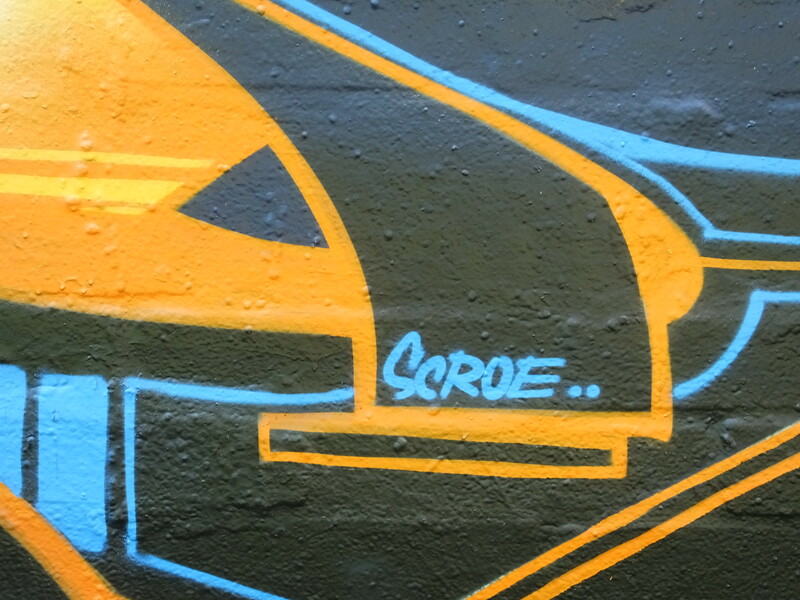 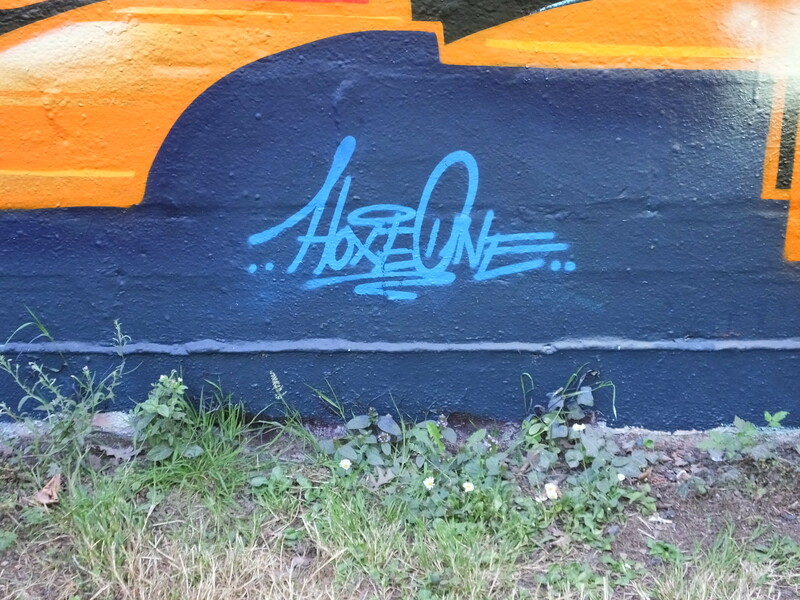 To the left is a wildstyle burner by Hoxe painted in blue and contrasting orange. 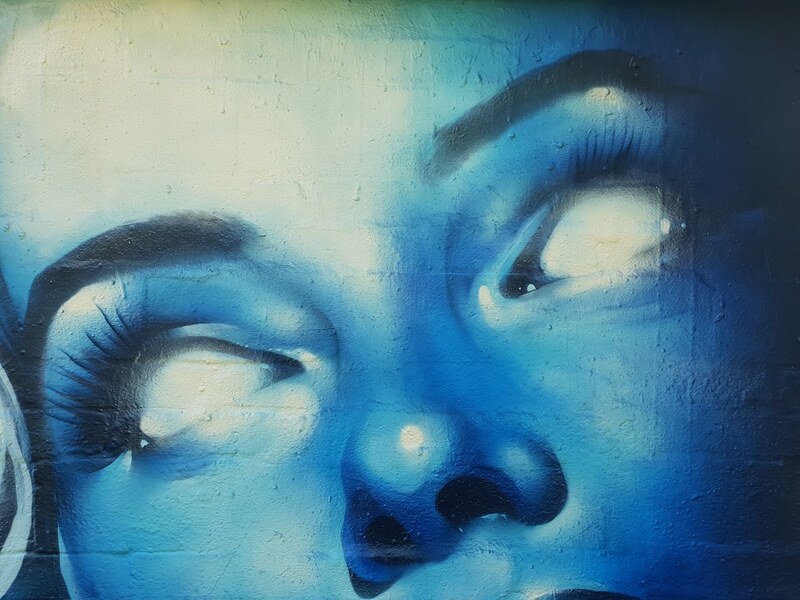 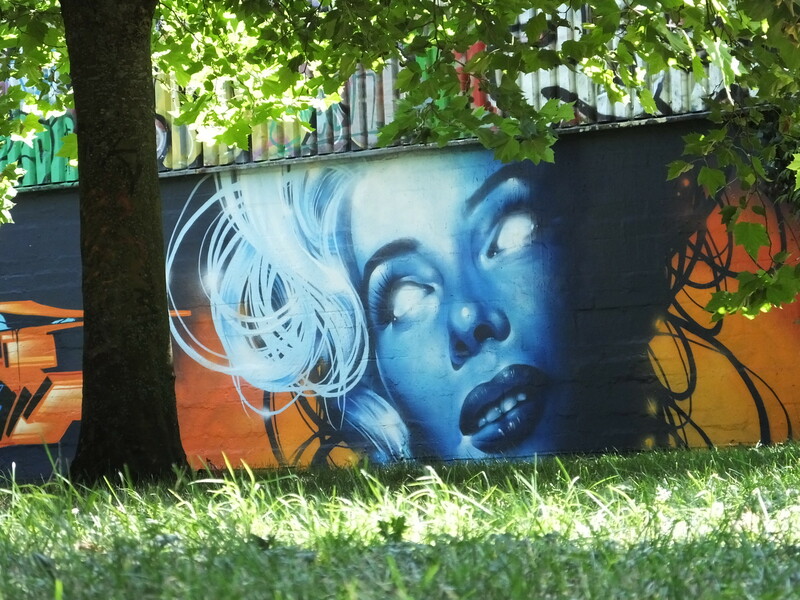 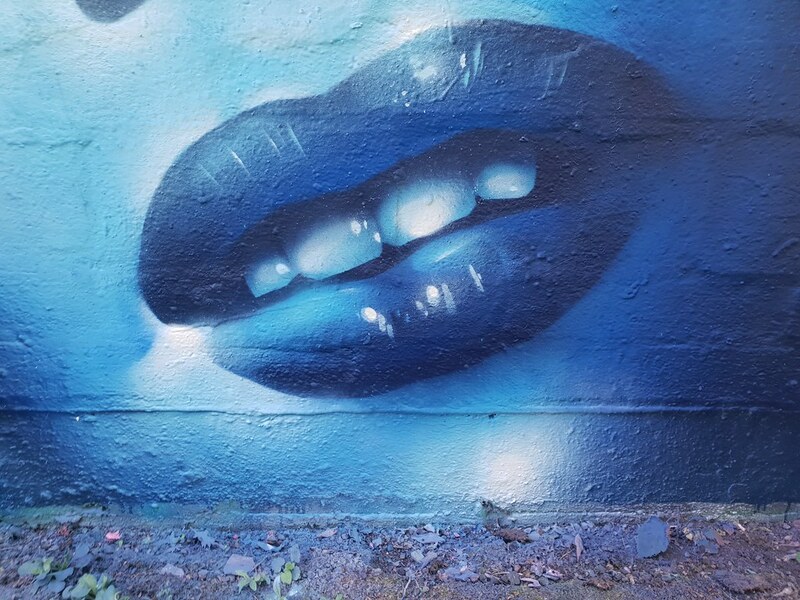 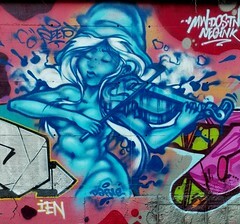 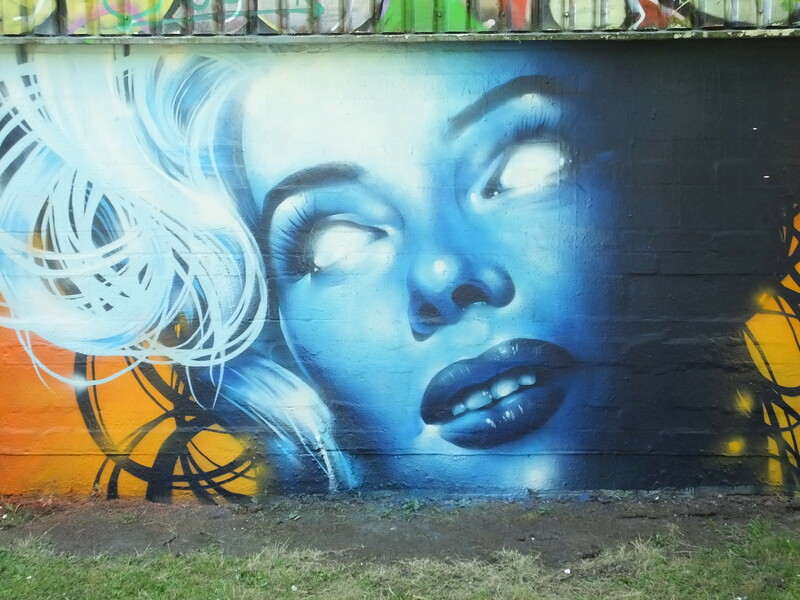 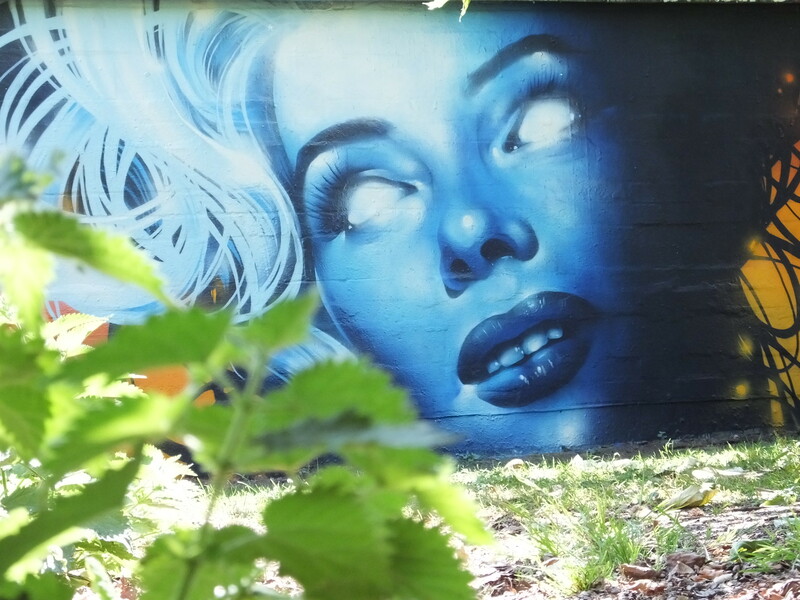 Next to this the quality work continues with a lady painted in tones of blue by local artist Rmer. 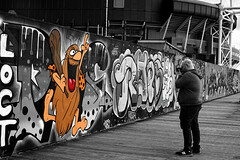 Painting in his own unique style here this lady dominates the wall. 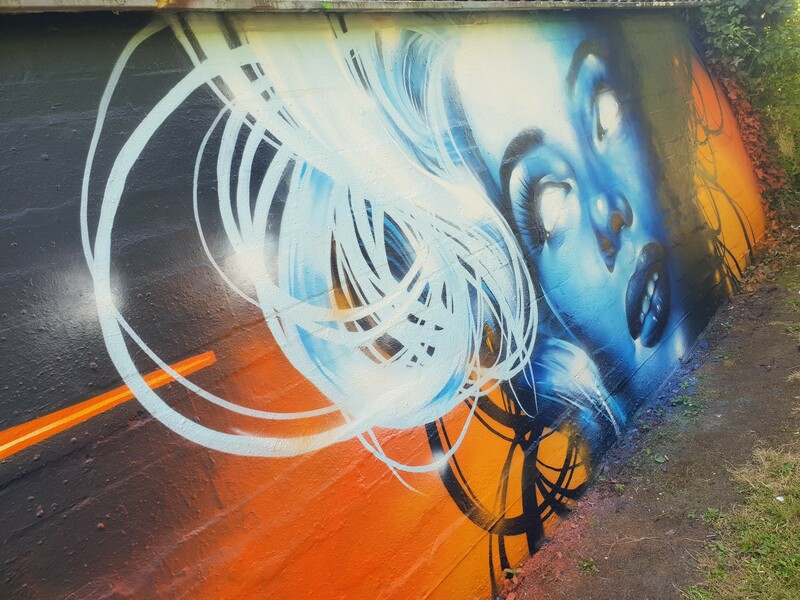 Truly stunning. 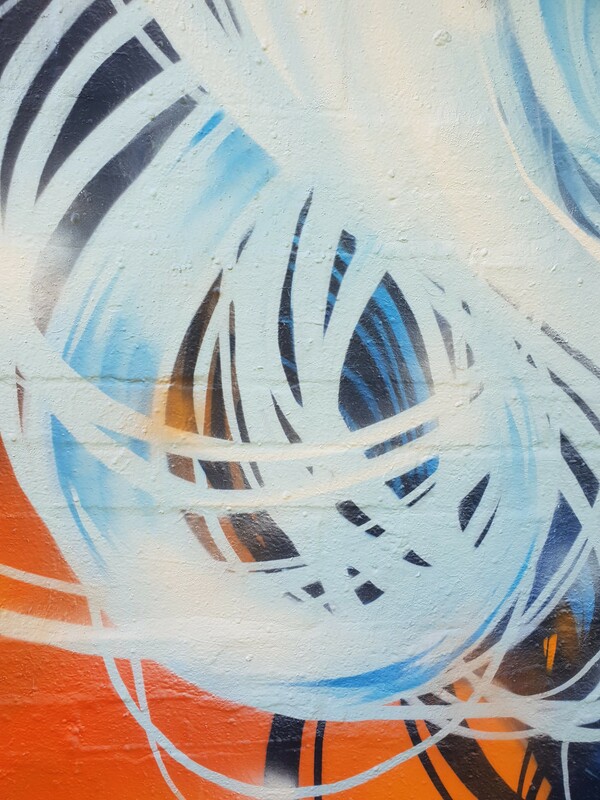 Her lavish locks wrap around her face whilst the backlighting emphasise the silhouette against the orange. 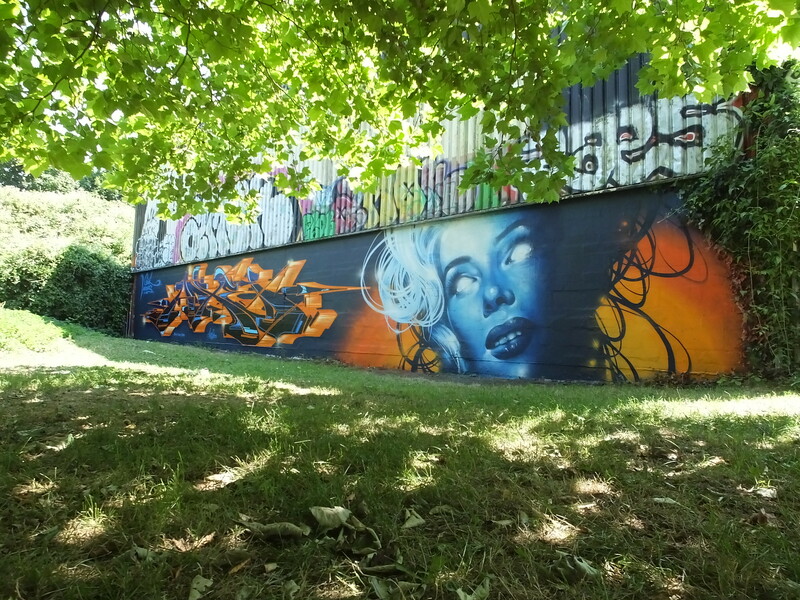 This perfectly sets the scene for the latest paint jam to take place at Sevenoaks Park. 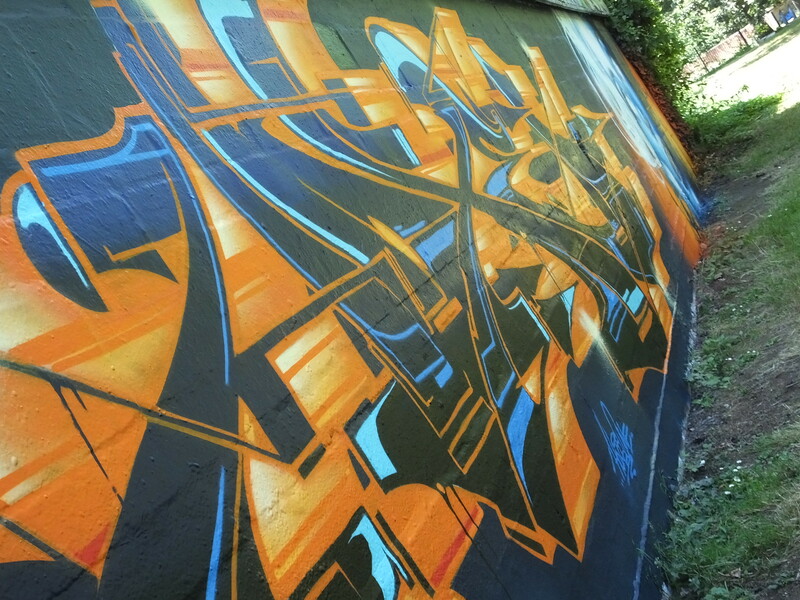 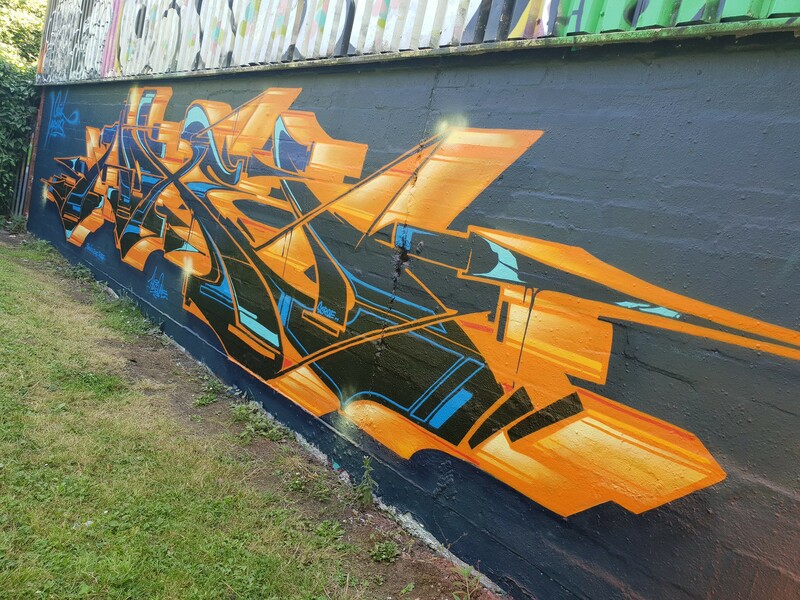 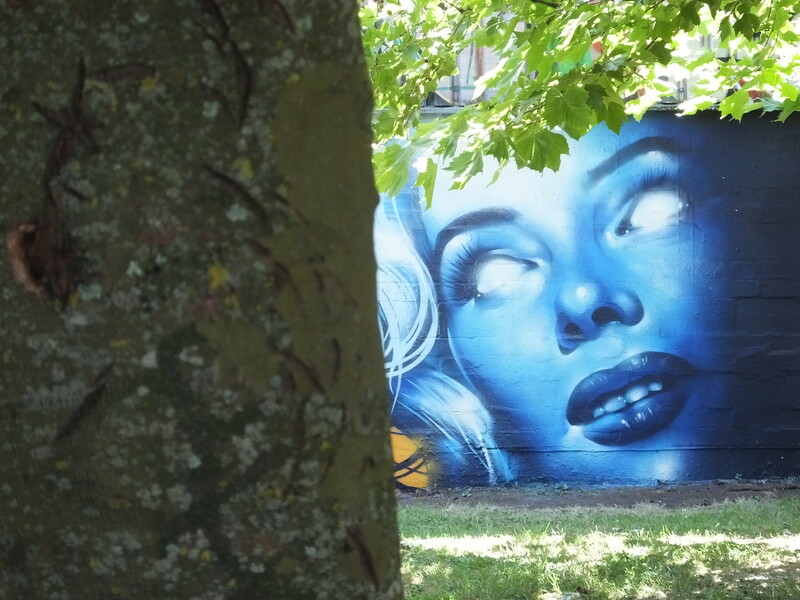 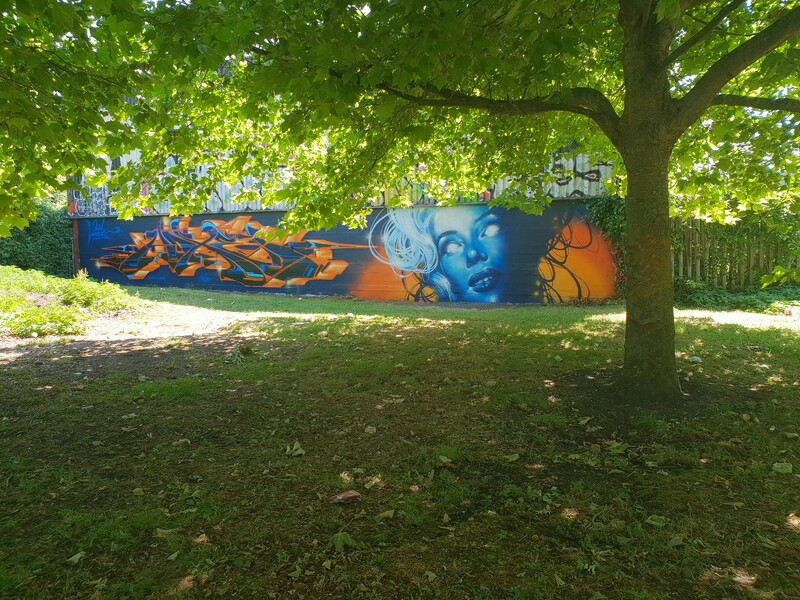 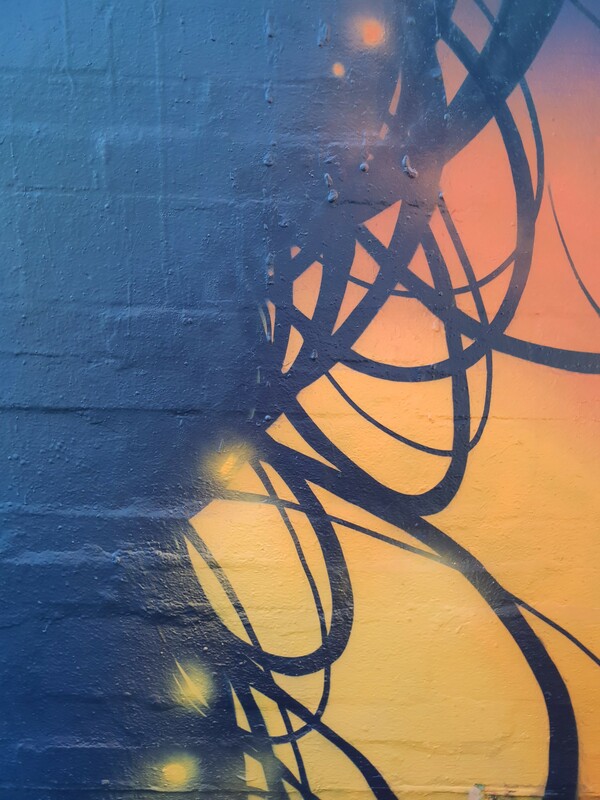 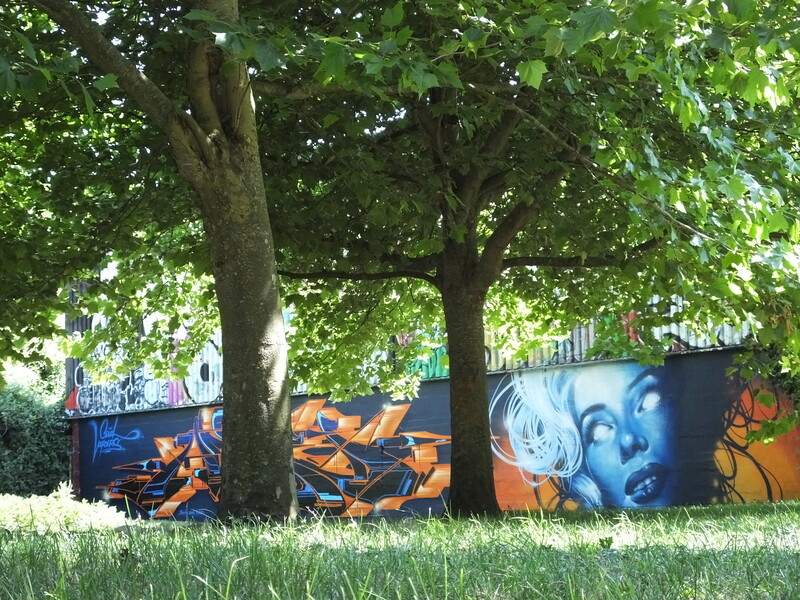 The Sevenoaks Graffiti Jam is on Saturday 14th July where artists are invited to bring their own paint and equipment along but can also help mulch the wall before it begins at 12pm.